Music is my way of knowing the world and giving meaning to everything in it. Deborah Cheetham, Yorta Yorta woman, soprano, composer and educator has been a leader and pioneer in the Australian arts landscape for more than 25 years. In the 2014 Queen's Birthday Honours List, Cheetham was appointed as an Officer of the Order of Australia (AO), for "distinguished service to the performing arts as an opera singer, composer and artistic director, to the development of Indigenous artists, and to innovation in performance". 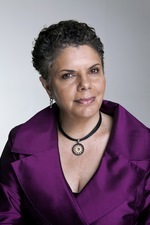 In 2009, Deborah Cheetham established Short Black Opera as a national not-for-profit opera company devoted to the development of Indigenous singers. The following year she produced the premiere of her first opera Pecan Summer. This landmark work was Australia's first Indigenous opera and has been a vehicle for the development of a new generation of Indigenous opera singers. In March 2015 she was inducted onto the Honour Roll of Women in Victoria and in April 2018 received an Honorary Doctorate from the University of South Australia for her pioneering work and achievements in the music. In 2019 Deborah Cheetham received the Merlyn Myer Prize to create a new work for the Melbourne based ensemble Syzygy. Cheetham's commissions for major Australian ensembles continues to grow, including works for the Adelaide Symphony Orchestra, Melbourne Symphony Orchestra, Australia String Quartet, West Australian Symphony Orchestra String Quartet, Rubiks Collective, Plexus Ensemble, Flinders Quartet and the Goldner Quartet. Eumeralla, a war requiem for peace. Large scale work for soloists, choirs and orchestra. Sung in the language of the Gunditjmara people. Australia's first resistance-war commemoration for Aboriginal and non-Aboriginal performers. On-country premiere October 14, 2019 Port Fairy Spring Festival. Beneath the Wings of Bunjil. Commission for the City of Casey 2018 opening of Bunjil Place. Dali Mana Gamarada, Gadigal language. Commission for the Opening Ceremony of the 2000 Sydney Olympic Games.